Over the years, I’ve had the chance to check out my fair share of vegan cookbooks. Some of them I’ve given away and some tend to collect dust on the bookshelf but then there are the ones I go back to over and over again. I wanted to share a few cookbooks I’ve found to be not only practical and accessible but reliable, delicious and (mostly) healthy too. 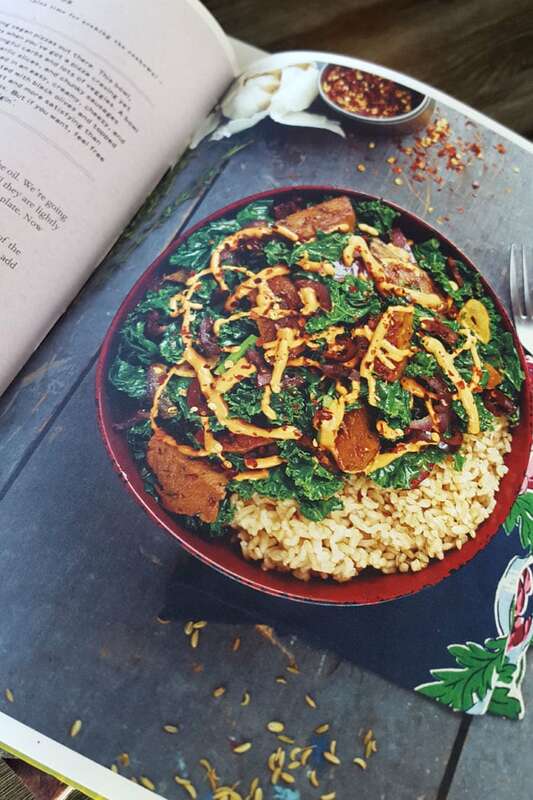 Whether it’s a gift for someone or a little treat for yourself, I would recommend these books as the 6 best vegan cookbooks to add to your collection! Enjoy and happy cooking! This is one of the most used cookbooks in my kitchen. 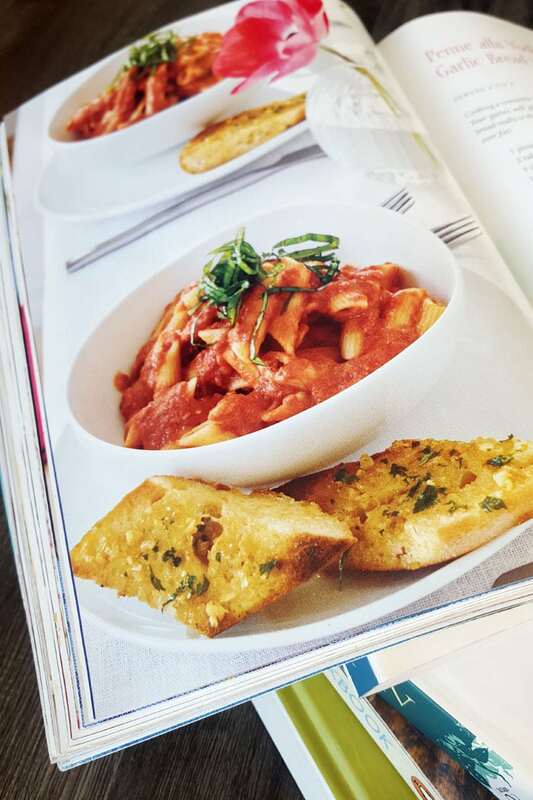 It contains beautiful photos of every simple, healthy and easy to follow recipes. The recipes are creative and fun and most can be put together in around 30 minutes. Some of my favourites are the Dragon Noodle Salad, the Kale Salad with Squash and Lentils, the Pesto Cauliflower Pasta, Bhindi Masala, Chana Malasa, Thai Red Curry Chilli and the Curried Peanut Sauce Bowl with Tofu and Kale. Quite a few of the recipes use seitan but you can always substitute with tofu or otherwise suit it to your liking. It has a great selection of sauces too that you can always use in your own kitchen creations. The desserts aren’t super healthy and don’t hold back on oil and sugar but they’re all really good and perfect for special occasions aka they’re totally worth it. I’ve had this book for quite a while and recommend it often to those interested in a vegan diet. I think the recipes are easy, delicious, creative and fun. They range from simple to a little more elaborate and aside from a handful of items like vital wheat gluten, most of the ingredients are common and easy to find. If you’re used to vegan cooking, most of the recipes are very straightfoward and accesible for day to day cooking. If you’re newer to vegan cooking styles and methods, some of the recipes might seem a little scarier but the instructions are very clear so you should still be able to work your way through them. 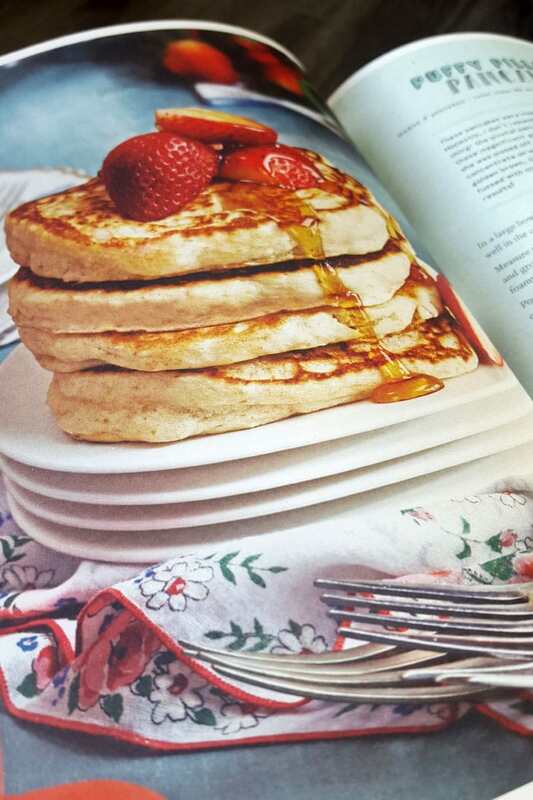 Some people don’t like how this book doesn’t have a lot of photos but that just means there are more recipes packed into the book, as in a whopping 250 of them! There are a lot of basic recipes that will become go-to favourites in your kitchen and it also features a ton of tips for vegan cooking, ingredient substitutions are more. This is a good book to keep on the shelf whether you’re vegan or just enjoy including plenty of healthy, plant-based meals in your diet. I actually think Isa is a culinary genius and the vegan world is so lucky to have her creating incredible recipes for us! Most of you have probably heard of the very popular cookbook by Angela from the Oh She Glows blog. If you don’t own a copy already, I’d highly recommend picking one up. 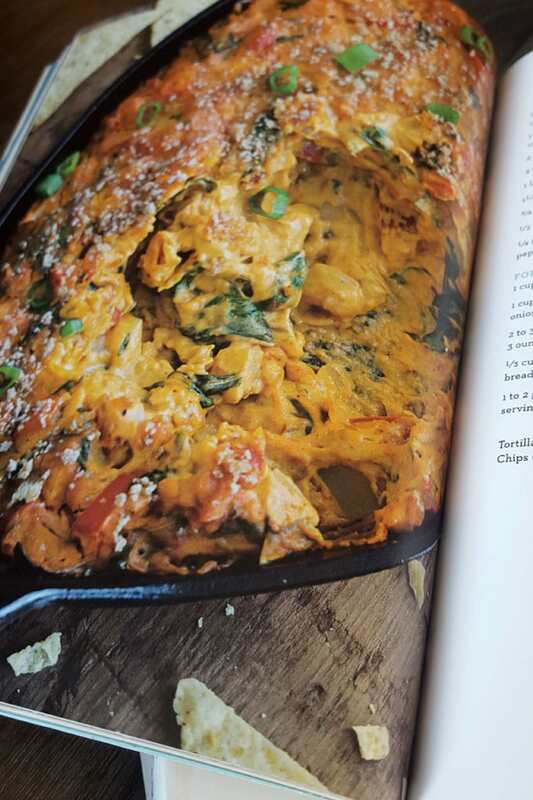 I’ve made almost every recipe in the book with great success, from the entrees, to snacks, to smoothies and desserts. The recipes are simple, whole food based, practical for day-to-day and always delicious. Some of my now favourite meals come from this cookbook including the Soul-Soothing African Peanut Stew, the Life-Affirming Warm Nacho Dip and the Creamy Avocado Potato Salad. 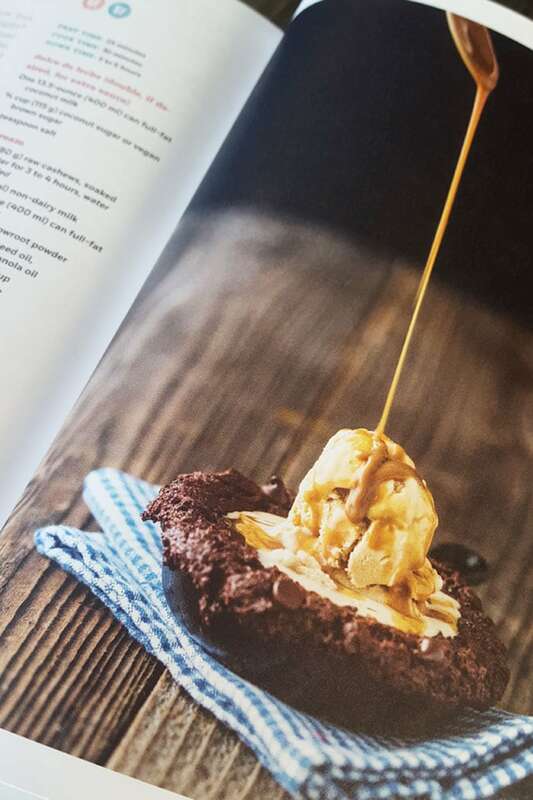 I find Oh She Glows recipes to be very practical for everyday cooking and her snacks and desserts are a lot healthier than the ones in some of the other books I’ve listed. 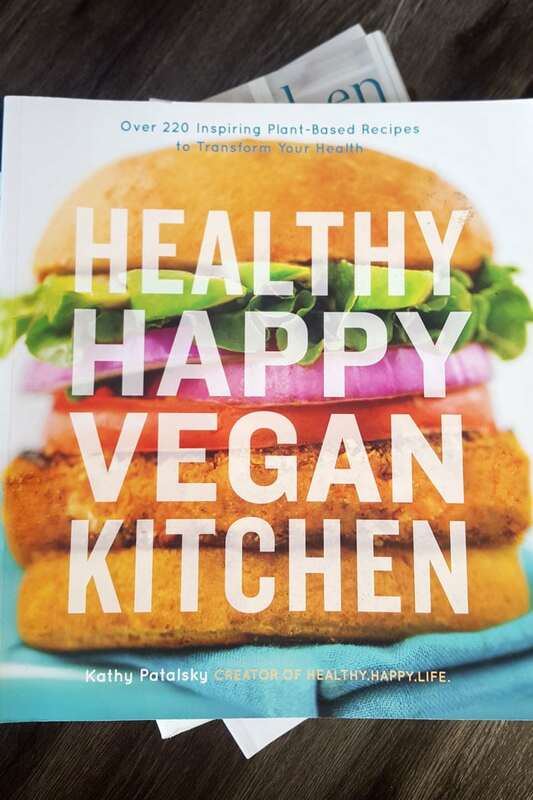 I’d say this is a must-have book whether you’re vegan, vegetarian or just love delicious, healthy food! My copy of Chloe’s Kitchen has been very, very well used in my little kitchen. While not all of the recipes are super healthy ie. some rather decadent desserts, you can easily modify the recipes to your liking and they’re all whole-food based. Out of the 125 recipes in this book, I’ve made a good chunk of them more times than I can count. The Indian Buffet, Carribean Vegetables with Coconut Rice, Barley Bliss Casserole, Stuffed Shells with Arrabiata Sauce, Penne a la Vodka with Garlic Bread, Straw and Hay Pasta, Thai Chickpea Burgers, Chimmichurri Tacos, the Southern Skilled Black-Eyed Peas and Biscuits and many, many more are all favourites at my house. This cookbook doesn’t contain any breakfasts or snacks but it has a great selection of appetiezers, soups, salads, pasta, party food and awesome entrees. The desserts are beautiful, decadent and delicious but not exactly what you’d call healthy. However, for special occasions, I’d say go for it, they’re sure to impress! I’ve made her Award-Winning Ginger Nutmeg Spiced Cupcakes, Yoga Cookies, Banana Cupcakes with Lemon Icing, Sea Salt Toffee Bars and the Mocha Almond Fudge Cake all with great success. Every recipe has a photo, they’re all easy to follow and I’ve yet to make one I didn’t like. I’d highly recommend adding this book to your collection, it’s one of my favouerites. I love Chloe’s Vegan Italian Kitchen too! This book is a new addition to my bookshelf but I’ve been using it a lot lately. The 220+ recipes are really easy to follow, healthy and whole food-based, they don’t require too many ingredients and so far I’ve really enjoyed everything I made. I think this would be a great place for to start to plant-based newbies or those just wanting to add more plant-based meals to their diet. Almost every recipe has a photos, is very easy to follow and well laid-out and there is huge variety of everything from breakfast, to baking, to burgers and sandwiches, to sides, soups and salads, drinks, dressings, entrees, bowls, desserts and lots more. I think this book makes vegan cooking very accessible and doable even for a complete beginner. There are some incredible recipes I haven’t a change to try yet but are on my must-make-soon list, like the Creamy Cashew Potpie, the Vegan Pizza, the Gingerbread Bundt Cake with Vanilla Bean Coconut Glaze and so many more! I have almost every page leafed at this point. I’d highly recommend adding this one to your collectinon for a practical cookbok you’ll use often for everything from basics like dressings, to treats like chocolate chip cookies and quick and easy healthy, daily entrees. 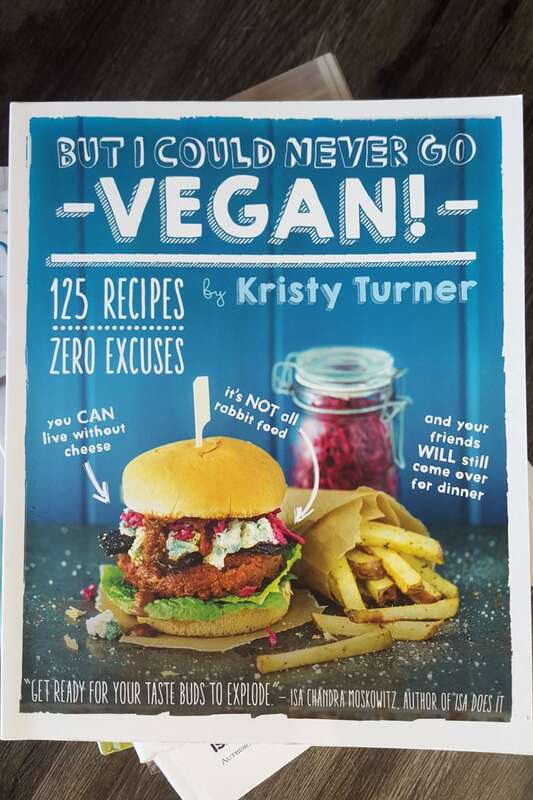 This book is basically a collection of classic recipes gone vegan, healthy and incredibly delicious, even more delicious than the original, I’d dare to say. It’s got ice cream, cheese, pizza, nachos, brownies and more all made dairy, meat and egg. Think Dulce De Leche Ice Cream, Beer-Battered Faux Fish and Chips, Butterscotch Bread Pudding, Buffalo Cauliflower Calzones with Cashew Blue Cheese, Roasted Garlic White Pizza with Macadamia Ricotta and Caramel Apple-Stuffed French Toast. These recipes might sound somewhat complicated but they’re all actually quite simple and easy to make. Every recipes has a photography and clear instructions. For me this has been more of a weekend cookbook than a practical everyday cookbook but I’d still say it’s worth adding to your collection for the extra creative vegan recreations of classic favourites. 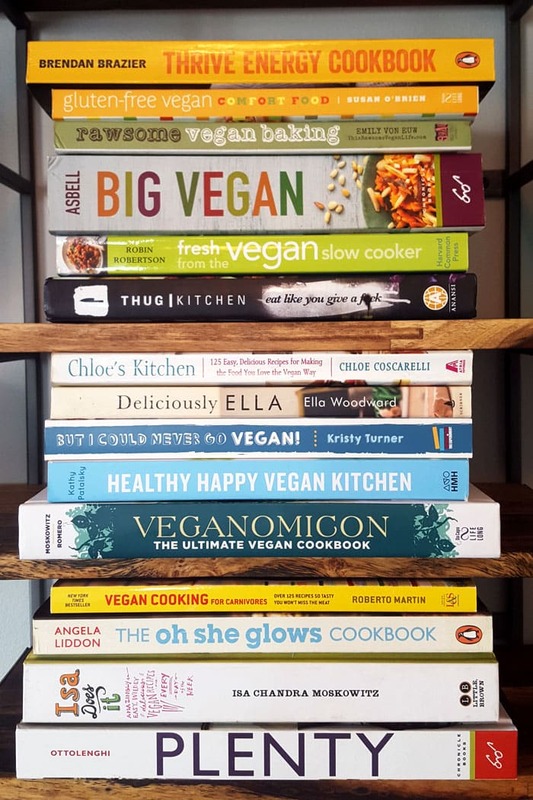 I do have a number of other vegan cookbooks on my shelf that are worth a quick mention. Thrive Energy Cookbook and The Plant-Powered Way get honourable mentions for extra healthy recipes but I don’t find them very practical for everyday meals. However, both are packed with a ton of great tips and information about eating plant-based. If you’re really into eating for nutrient density, superfoods, raw foods and absolutely thriving on a unrefined, whole food plant-based diet, I would definitely recommend checking out those two books. The Thrive Diet is also great if you’re a vegan athlete and are interested in obtaining optimal performance through plant-based foods. I also have a copy of Thug Kitchen but honestly I was never very impressed with it. I didn’t find the recipes to be very good and I found the writing to get a little annoying. Anyways, some people like it, it’s just not my thing! 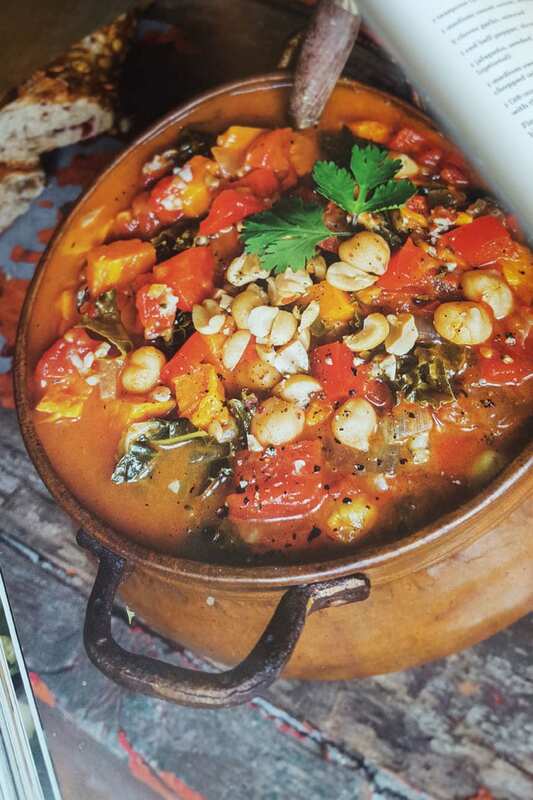 I’ve enjoyed my copy of Deliciously Ella quite a bit but I haven’t used it much for everyday cooking. I’d say it’s more of a how-to guide for clean, plant-based eating but it does have a great selection of beautiful healthy, vegan recipes. It’s a great book for breakfasts, healthy snacks and whole-food desserts and does have a selection of simple entrees and salads. Hope you guys found this helpful! Let’s get cooking! Isa Does It! is my favorite cookbook, and I’m not even vegan. Try the Chandra Malai Kofta recipe if you like Indian food. Restaurant quality! I’ve only made one recipe from But I Could Never Go Vegan so far (Creamy Mushroom Fettuccine Alfredo) and unfortunately it was a dud. Looked amazing but wasn’t edible. I’ve been hesitant to try another, but since it made your list, clearly I need to give the book one more shot! I love that you included Thug Kitchen and Oh She Glows – both very different but great in their own way! 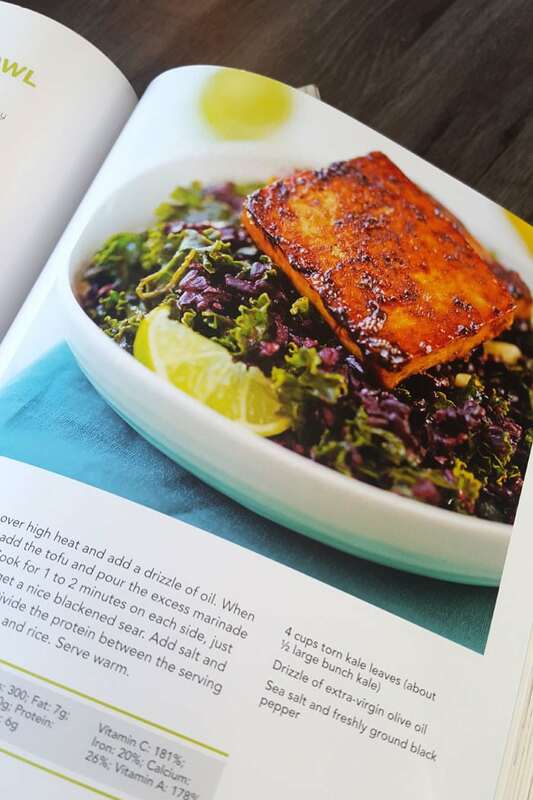 Oh She Glows has a great cookbook! These look terrific!